For several weeks my Furbabies have been participating in a mixed feeding pet food program sponsored by Whiskas. Jesse is a senior and faces senior challenges. His gums are very sensitive (gingivitis), and he has lost a couple of teeth. He even has a broken tooth. Suffice it to say eating isn’t easy for him. Josie is a teenager and has her own challenges. Having been a rescue at such a young age, she fears when her next meal will be, so when she eats she does so as if she’ll never be fed again. Jesse Jr. is a 2 month old rambunctious kitten, with lots of energy to spare. He too is a very young rescue, and eats everything in sight. He’s still growing, and he has kitten teeth, and a kitten tummy that we have to be careful with. He refuses his kitten food, and has joined his new big brother and big sister in partaking in the mixed feeding pet food program. 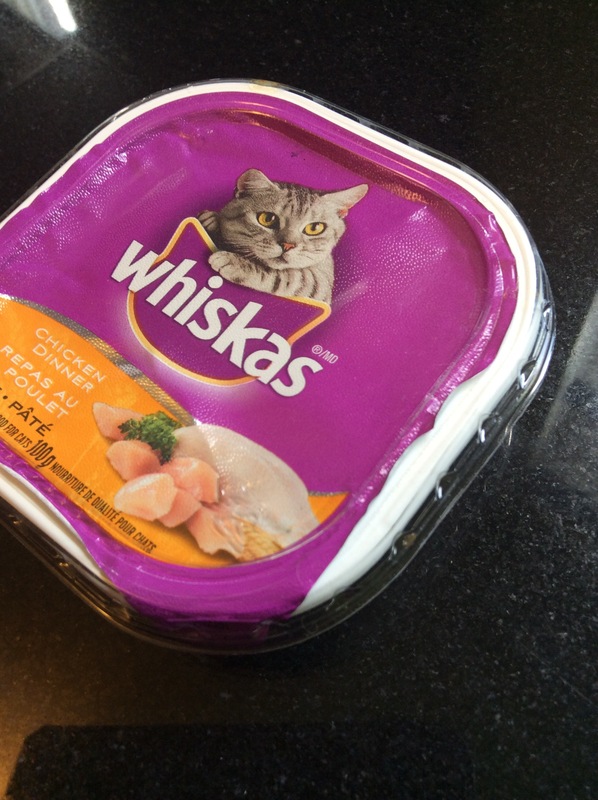 *Can my kitten eat WHISKAS® Dry Adult Food? Both dry and wet food have their benefits. 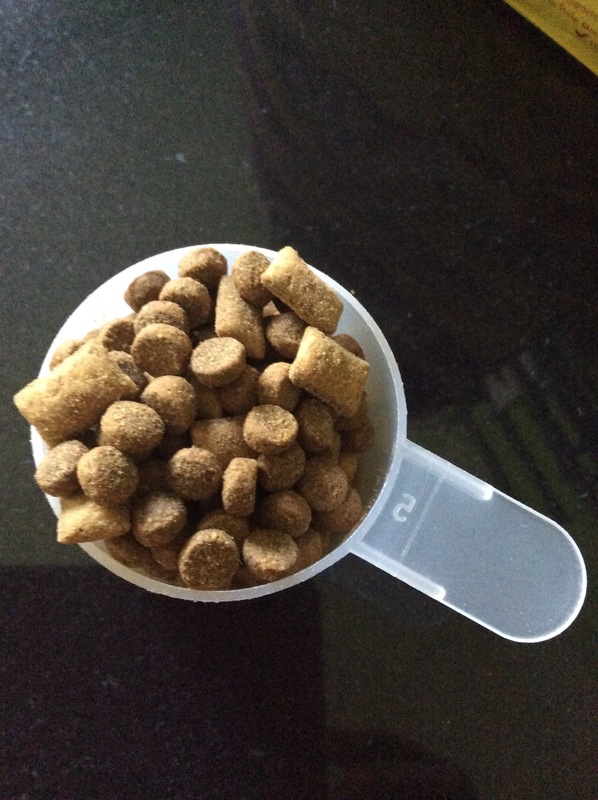 Dry food is super convenient, economical, and great for oral care. Wet food has less calories per gram, encourages water intake, and is easier for seniors and kittens to chew. 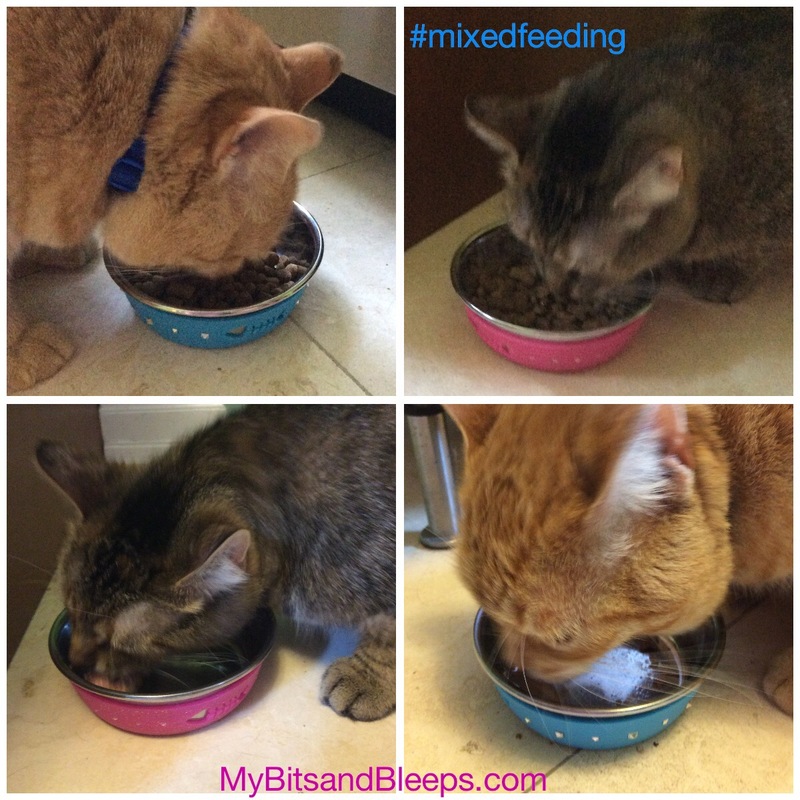 If your cats aren’t already on a mixed feeding program, it might take a little while to introduce it to their regular routine; however, once on the mixed feeding you’ll discover that they are happy with the taste, texture, and variety. Satiety, humidity, and ease of feeding are my goals in a mixed feeding program. Taste, and texture meets healthy, and happy … what more could I want for my babies? All three of my furbabies are very happy with their feeding routine. Of course, they absolutely love their wet food (I’m guessing it’s because it more closely resembles the food they would naturally choose); however, they happily crunch on their dry kibble too. I look at it this way: I love my mashed potatoes but I really enjoy crunchy French fries too! Isn’t great to be able to have both? Wouldn’t it get boring to always have the same thing? PRIZE: The above is what the giveaway pack looks like – it’s of $100 value and includes enough food to mix feed for two weeks! Disclosure: Whiskas has provided a month’s supply of dry and wet cat food for review; I have not been paid for this post. All opinions expressed (if any) are mine alone; positive comments or review is not required. Any information acquired from Whiskas‘ various social media formats has been authorized, and has been done so as to facilitate my post/review. Whiskas now hasReal Chicken, Salmon or Tuna!! I learnt that it Helps clean teeth and promotes fresh breath with every bite. 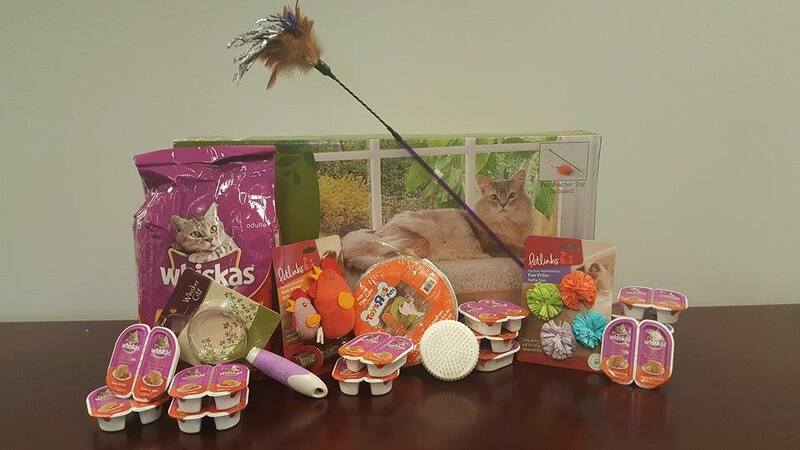 I learned NEW WHISKAS® Oral Care features a unique kibble design and added calcium. I learned that Whiskas has been around since 1958 which is the year my husband was born and my mom graduation high school! I learned that Whiskas has a food that provides oral care and it helps to clean their teeth.It is also full of necessary protein for healthy growing cats. I learned that they now have perfect portions product. perfect size and less waste! 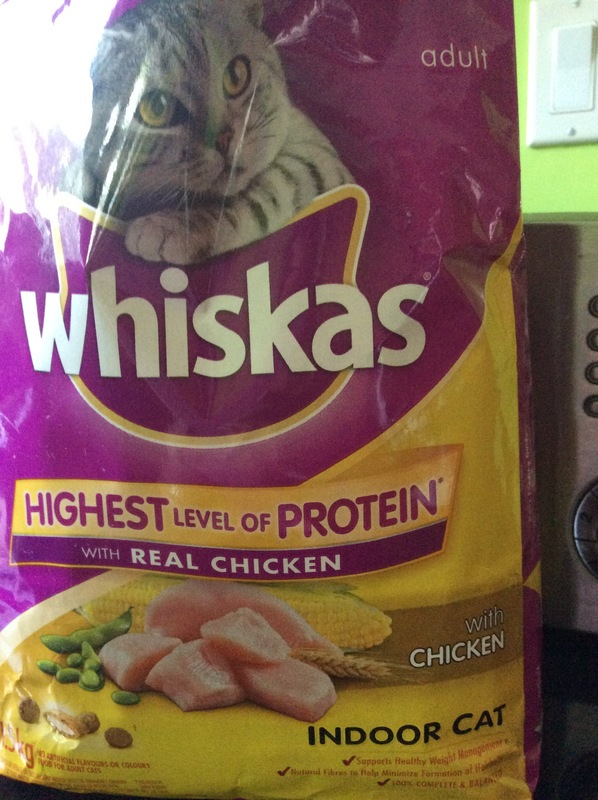 I learned that WHISKAS® Dry Food is now made with Real Chicken, Salmon or Tuna! 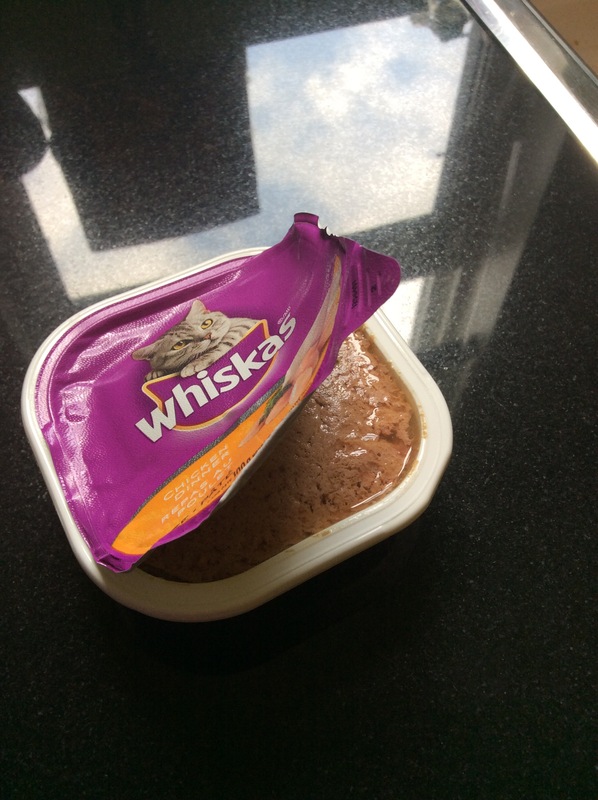 Whiskas is the only dry cat food my kitty will eat,he Loves it!! i learned that Whiskas site has a name selector if you are stuck naming your new kitten.and.. I learned Whiskas now has Real Chicken, Salmon or Tuna!! The website has lists of suggested male and female cat names to help you choose a name for your pet. I did not know stroking your pet creates a a bonding time. I learned Whiskas has Real Chicken, Salmon or Tuna.